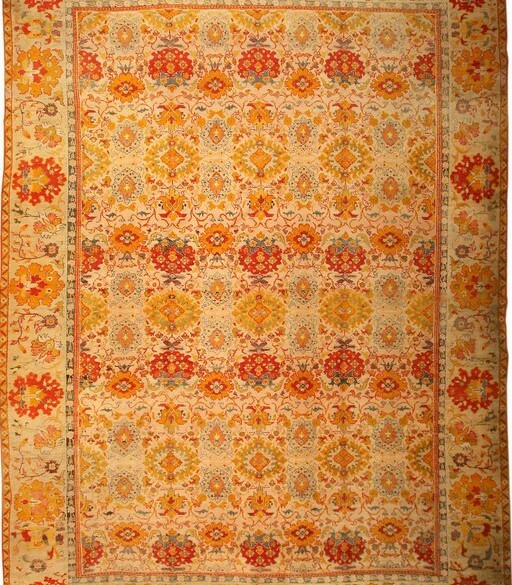 THE GORDES RUG - A rug spirit with roots in the ancient Ottoman Empire. Perched in the hills of western Turkey, Gördes has long been famous as a rug-making center, with roots of its trade dating back to the early Ottoman Empire. The town is a vital part of the larger Manisa rug-making community of Turkey’s Aegean region, so named for the eponymous Sea that bounds its western edge. Manisa remains an important rug-making region to this day, though in what might be called the region’s golden age of textiles—from the 17th to the 19th centuries—it was considered one of the most important carpet-making areas in all of Anatolia. Gordes rugs typically take one of two traditional forms: the prayer rug and the bridal carpet. Prayer rugs, handmade in ancient patterns to this day, are most common. Bridal carpets, somewhat less common in the modern era of rug-making, were typically created as centerpieces of the “Trousseau,”—the gift of handmade textiles given with the bride in traditional Turkish weddings. Both the Gordes prayer rugs and bridal carpets are recognizable for their striking, usually religious designs. In a typical rug, a central oversized prayer niche will be framed by a high, elegantly contoured prayer arch. Prayer lanterns, scrolls, columns, and symbolic flowers (such as the carnation) comprise a rich religious language, woven in strong, tight, durable double knots. Colors of the Gordes rugs are bold and fearlessly contrast: the reds, greens, yellows, and blues are near-primary. 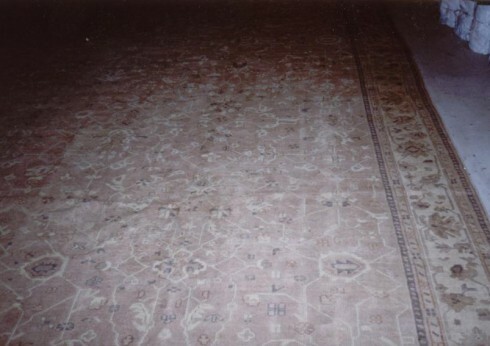 And the lustrous wool with which the antique carpets are made acquires a subtle antique burnish with age. It is no wonder that in modern show rooms, where Gordes rugs are displayed beside decorative works, their striking, overtly symbolic designs stand out immediately. Created as rugs for daily life, Gordes carpets are constructed to be tough. They are so durable, in fact, the town gives its name to the famously durable “Turkish” (also known as “Gordes”) knot. The Gordes is a double knot, distinguished from the Persian, or single knot, by tying each strand of yarn to two strands of warp. This gives a firmer weave, and a stronger and more durable carpet, though it sacrifices the possibility of certain weaving patterns made possible by the Persian knot. Historically speaking, Gordes carpets are believed to descend directly from some of the earliest rugs ever exported to the European Market. Manisa was one of the most prosperous and best-connected regions of 14th and 15th century Turkey, for in addition to being an important stop on trade routes—the capital was a terminal point for caravans from the east—the region served as the training ground for the Ottoman crown princes, also known as Shahzads. Its central importance to the empire made Manisa a center of Ottoman art and architecture, and with it, Ottoman carpet-making. In paintings from the European Renaissance, these Ottoman rugs from Manisa can be seen as some of the earliest known examples of European-export Turkish rugs. Today, Gordes continues producing excellent examples of handmade rugs and Kilims. These Kilims have taken over more and more of the Gordes rug trade. They are a simpler flat-weave rug produced by weaving warp and weft without pile, though much like their Gordes rug counterparts, have been used for both for prayer and elegant decoration.